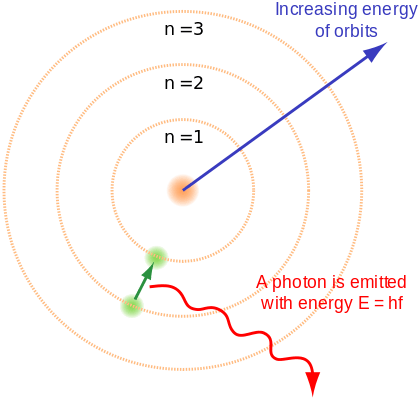 The proton has three parts, two up quarks and one down quark … and the gluons which these three quarks exchange, which is how the strong (nuclear) force works to keep them from getting out. 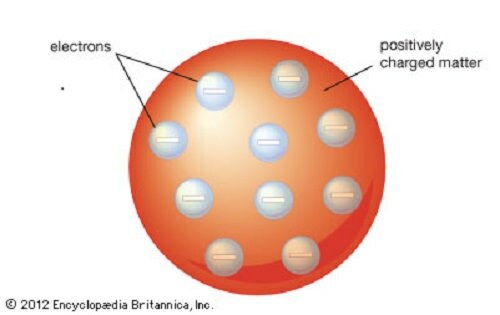 The proton’s world is a totally quantum one, and so it is described entirely by just a handful of numbers, characterizing its spin (a technical term, not to be confused with the everyday English word; the proton’s spin is 1/2), electric charge (+1 e, or 1.602176487(40)×10-19 C), isospin (also 1/2), and parity (+1). These properties are derived directly from those of the proton parts, the three quarks; for example, the up quark has an electric charge of +2/3 e, and the down -1/3 e, which sum to +1 e. Another example, color charge: the proton has a color charge of zero, but each of its constituent three quarks has a non-zero color charge – one is ‘blue’, one ‘red’, and one ‘green’ – which ‘sum’ to zero (of course, color charge has nothing whatsoever to do with the colors you and I see with our eyes!). Murray Gell-Mann and George Zweig independently came up with the idea that the proton’s parts are quarks, in 1964 (though it wasn’t until several years later that good evidence for the existence of such parts was obtained). Gell-Mann was later awarded the Nobel Prize of Physics for this, and other work on fundamental particles (Zweig has yet to receive a Nobel). The quantum theory which describes the strong interaction (or strong nuclear force) is quantum chromodynamics, QCD for short (named in part after the ‘colors’ of quarks), and this explains why the proton has the mass it does. You see, the up quark’s mass is about 2.4 MeV (mega-electron volts; particle physicists measure mass in MeV/c2), and the down’s about 4.8 MeV. Gluons, like photons, are massless, so the proton should have a mass of about 9.6 MeV (= 2 x 2.4 + 4.8), right? But it is, in fact, 938 MeV! QCD accounts for this enormous difference by the energy of the QCD vacuum inside the proton; basically, the self-energy of ceaseless interactions of quarks and gluons. 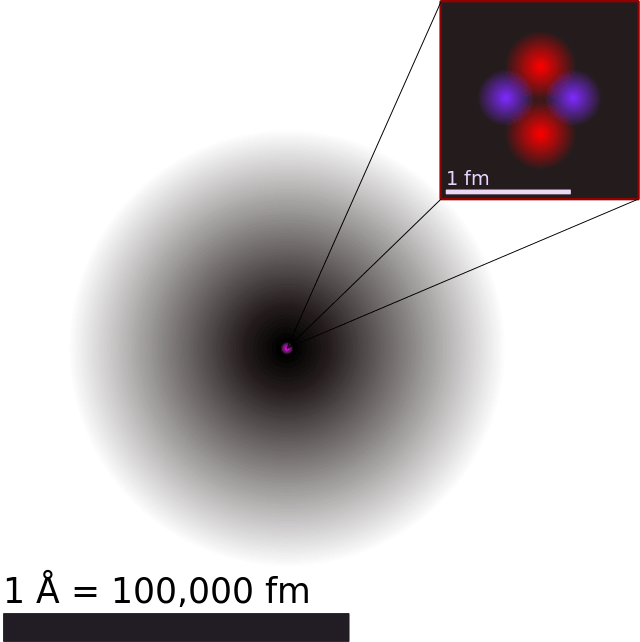 Further reading: The Physics of RHIC (Brookhaven National Lab), How are the protons and neutrons held together in a nucleus?, and Are protons and neutrons fundamental? (the Particle Adventure) are three good places to go! Some of the Universe Today articles relevant to proton parts are: Final Detector in Place at the Large Hadron Collider, Hidden Stores of Deuterium Discovered in the Milky Way, and New Study Finds Fundamental Force Hasn’t Changed Over Time. Two Astronomy Cast episodes you won’t want to miss, on proton parts: The Strong and Weak Nuclear Forces, and Inside the Atom. Schrodinger’s cat is named after Erwin Schrödinger, a physicist from Austria who made substantial contributions to the development of quantum mechanics in the 1930s (he won a Nobel Prize for some of this work, in 1933). Apart from the poor cat (more later), his name is forever associated with quantum mechanics via the Schrödinger equation, which every physics student has to grapple with. Schrodinger’s cat is actually a thought experiment (Gedankenexperiment) – and the cat may not have been Erwin’s, but his wife’s, or one of his lovers’ (Erwin had an unconventional lifestyle) – designed to test a really weird implication of the physics he and other physicists was developing at the time. It was motivated by a 1935 paper by Einstein, Podolsky, and Rosen; this paper is the source of the famous EPR paradox. In the thought experiment, Schrodinger’s cat is placed inside a box containing a piece of radioactive material, and a Geiger counter wired to a flask of poison in such a way that if the Geiger counter detects a decay, then the flask is smashed, the poison gas released, and the cat dies (fun piece of trivia: an animal rights group accused physicists of cruelty to animals, based on a distorted version of this thought experiment! though maybe that’s just an urban legend). 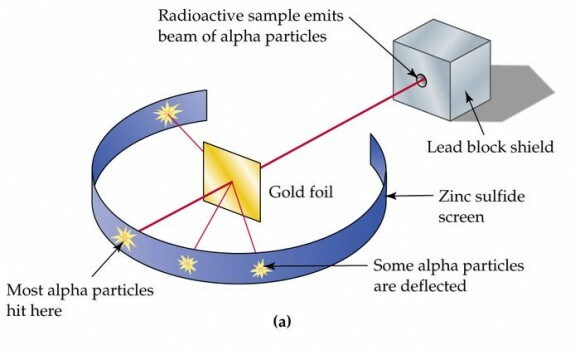 The half-life of the radioactive material is an hour, so after an hour, there is a 50% probability that the cat is dead, and an equal probability that it is alive. In quantum mechanics, these two states are superposed (a technical term), and the cat is neither dead nor alive, or half-dead and half-alive, or … which is really, really weird. Now the theory – quantum mechanics – has been tested perhaps more thoroughly than any other theory in physics, and it seems to describe how the universe behaves with extraordinary accuracy. And the theory says that when the box is opened – to see if the cat is dead, alive, half-dead and half-alive, or anything else – the wavefunction (describing the cat, Geiger counter, etc) collapses, or decoheres, or that the states are no longer entangled (all technical terms), and we see only a dead cat or cat very much alive. There are several ways to get your mind around what’s going on – or several interpretations (you guessed it, yet another technical term!) 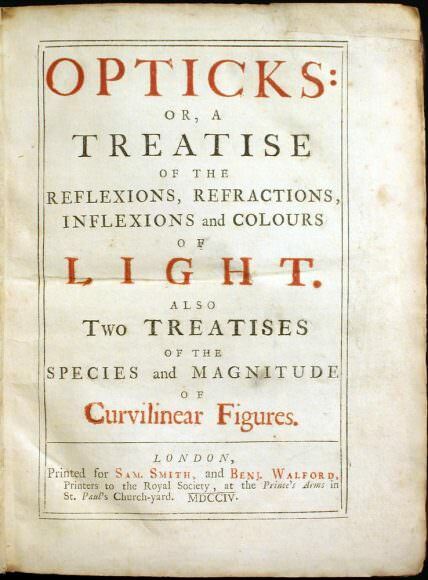 – with names like Copenhagen interpretation, many worlds interpretation, etc, but the key thing is that the theory is mute on the interpretations … it simply says you can calculate stuff using the equations, and what your calculations show is what you’ll see, in any experiment. Fast forward to some time after Schrödinger – and Einstein, Podolsky, and Rosen – had died, and we find that tests of the EPR paradox were proposed, then conducted, and the universe does indeed seem to behave just like schrodinger’s cat! In fact, the results from these experimental tests are used for a kind of uncrackable cryptography, and the basis for a revolutionary kind of computer. Keen to learn more? Try these: Schrödinger’s Rainbow is a slideshow review of the general topic (California Institute of Technology; caution, 3MB PDF file! ); Schrodinger’s cat comes into view, a news story on a macroscopic demonstration; and Schrödinger’s Cat (University of Houston). Schrodinger’s cat is indirectly referenced in several Astronomy Cast episodes, among them Quantum Mechanics, and Entanglement; check them out! The two best theories we have, today, in physics – the Standard Model and General Relativity – are mutually incompatible; loop quantum gravity (LQG) is one of the best proposals for combining them in a consistent way. General Relativity is a theory of spacetime, but it is not a quantum theory. Since the universe seems to be quantized in so many ways, one approach to extending GR is to quantize spacetime … somehow. In LQG, space is made up of a network of quantized loops of gravitational fields (see where the name comes from? ), which are called spin networks (and which become spin foam when viewed over time). The quantization is at the Planck scale (as you would expect). LQG and string theory – perhaps the best known of theories which aim to both go deeper and encompass the Standard Model and General Relativity – differ in many ways; one of the most obvious is that LQG does not introduce extra dimensions. Another big difference: string theory aims to unify all forces, LQG does not (though it does include matter). Starting with the Einstein field equations of GR, Abhay Ashtekar kicked of LQG in 1986, and in 1988 Carlo Rovelli and Lee Smolin built on Ashtekar’s work to introduce the loop representation of quantum general relativity. Since then lots of progress has been made, and so far no fatal flaws have been discovered. However, LQG suffers from a number of problems; perhaps the most frustrating is that we don’t know if LQG becomes GR as we move from the (quantized) Planck scale to the (continuum) scale at which our experiments and observations are done. OK, so what about actual tests of LQG, you know, like in the lab or with telescopes? Well, there are some, potential tests … such as whether the speed of light is indeed constant, and recently the Fermi telescope team reported the results of just such a test (result? No clear sign of LQG). Interested in learning more? There is a lot of material freely available on the web, from easy reads like Quantum Foam and Loop Quantum Gravity and Lee Smolin’s Loop Quantum Gravity, to introductions for non-experts like Abhay Ashtekar’s Gravity and the Quantum, to reviews like Carlo Rovelli’s Loop Quantum Gravity, to this paper on an attempt to explain some observational results using loop quantum gravity (Loop Quantum Gravity and Ultra High Energy Cosmic Rays). As you’d expect, Universe Today has several articles on, or which feature, loop quantum gravity; here is a selection What was Before the Big Bang? An Identical, Reversed Universe, Before the Big Bang?, and Before the Big Bang.